A new masterclass will discuss the future direction of the organic food market; a major success story in the food industry. In North America, organic food sales have increased from almost nothing to over $50 billion over 20 years. However, questions are being asked about the future evolution. What growth is projected for the North American and global market? How is the competitive landscape changing? As few dedicated organic food enterprises now remain, will large corporations and food retailers wield greater influence? What new certification schemes are emerging? With growing risks of food fraud, how can organic food companies strengthen their supply chains? How can they reduce their packaging impacts? Such questions will be addressed in this new one-day event, organized by Ecovia Intelligence. The morning seminars begin with an update on the US organic food market by the Organic Trade Association. Amarjit Sahota, Founder and President of Ecovia Intelligence (event organizer), will cover major trends and market developments in the global arena. Growth openings will be highlighted for companies looking to build exports to Europe, Asia and other regions. Diana Martin from the Rodale Institute will give details of the Regenerative Organic Certification scheme. Backed by pioneering organic enterprises, the new standard adds soil health, social fairness, and animal welfare to organic production methods. Erin Matchett from Non-GMO Project Verified will give an update on GM labelling and transparency in the food industry. Launched in 2010, Non-GMO Project Verified is the fastest growing eco-label in North America with sales now surpassing USD 26 billion. Targeting the millennials – some of the most avid buyers of organic foods – will be discussed by the marketing consultant Sourabh Sharma. In his seminar, he will give some insights into how to reach this increasingly influential demographic. 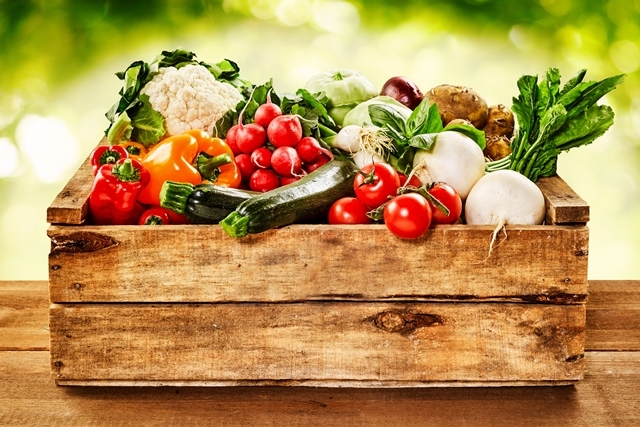 How can organic food brands utilize digital marketing? Other seminars will cover organic ingredient trends & outlook, and traceability in organic supply chains. Guidance will be given to companies looking to mitigate risks of food fraud in their supply networks. Plastic packaging is now a major concern for organic food companies. It is estimated that over 8 million tonnes of plastic enters the ocean each year. Andrew Dent, Executive Vice-President at Material ConneXion, will conduct an afternoon workshop. Titled ‘Sustainable Packaging Solutions’, the workshop is a practical guide for companies looking to make their packaging more sustainable. An update will be given on green alternatives to plastics, as well as the use of eco-design approach. Solutions will be offered to companies looking to close their packaging loops. The Organic Food Masterclass will take place at Park Central New York on 8th May 2019.